Public relations people tend to spend a lot of time in the field, making presentations, meeting with clients and their stakeholders and setting up special events. Like all road warriors, PR professionals depend upon a wide range of high-tech tools. What I hadn’t been aware of until recently is the fact that your Wi-Fi can put your laptop — and your important data — at risk. One more word of warning — this time from Domenico Bettinelli’s Bettnet blog (via Neatorama). 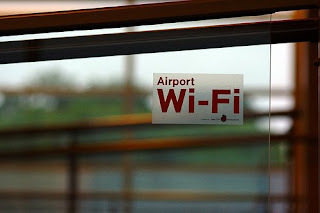 In airports that offer free Wi-Fi, before you connect, check out the options carefully. 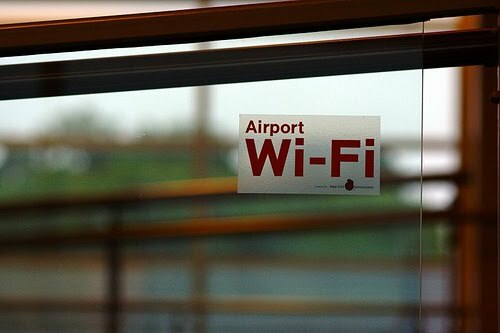 It turns out that the former was the real, free Wi-Fi and the latter was a trap designed to fool unsuspecting travelers into exposing their computers and data to hackers. It’s good advice for PR pros — and indeed for anyone who travels for a living and relies on high-tech devices: Check before you connect. And be sure to disconnect when you’re done!